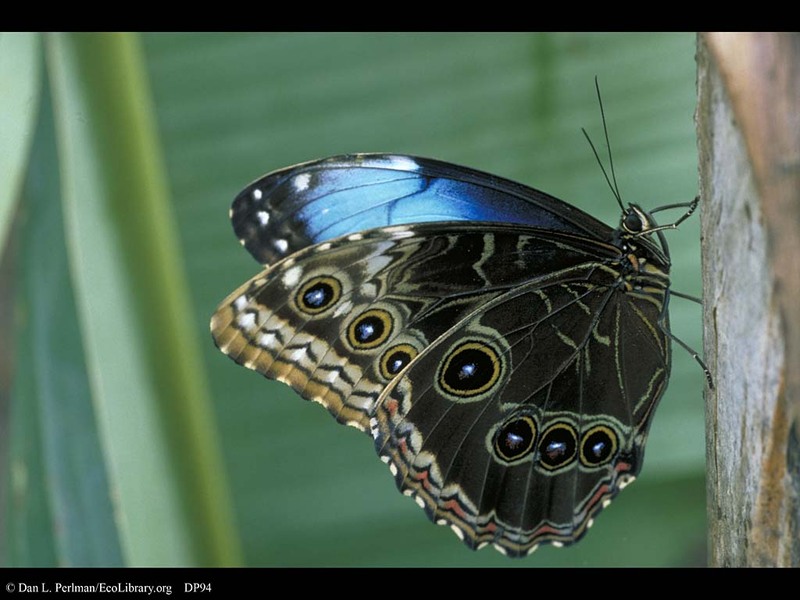 Adult male Morpho peleides butterfly, Costa Rica. Note the brilliant blue coloration on the upper side of the wing and the mottled brown on the underside. This is the final stage of four life stages in the complete metamorphosis of a butterfly.